Two drivers have been given suspended jail terms after a police camera caught them speeding at 144mph on the A19 in North Yorkshire. Daniel Scott Richardson, 21, from Batley and James Burrows, 26, of Methley, Leeds, were given four-month jail terms suspended for 18 months, and banned from the roads for three years after pleading guilty to dangerous driving. 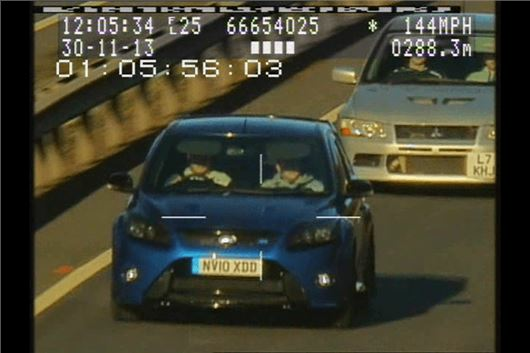 The men were captured racing by a police speed camera on the A19 southbound carriageway near Crathorne on 30 November. As well as three year bans, the pair were ordered to carry out 300 hours of unpaid work and fined £85 and ordered to pay a £60 victim surcharge. Click the link below to see the Yorkshire Police video and let us know what you think via Facebook or Twitter.